remaining cylinders. Cylinders fire in 1-6-2-4-3-5 order. (8) Install valve cover (para 3-55). Model DSSSTA Engine Valve Adjustment. adjusting screw with screwdriver and tighten the locknut. (1) Remove valve cover (para 56). Figure 3-35. 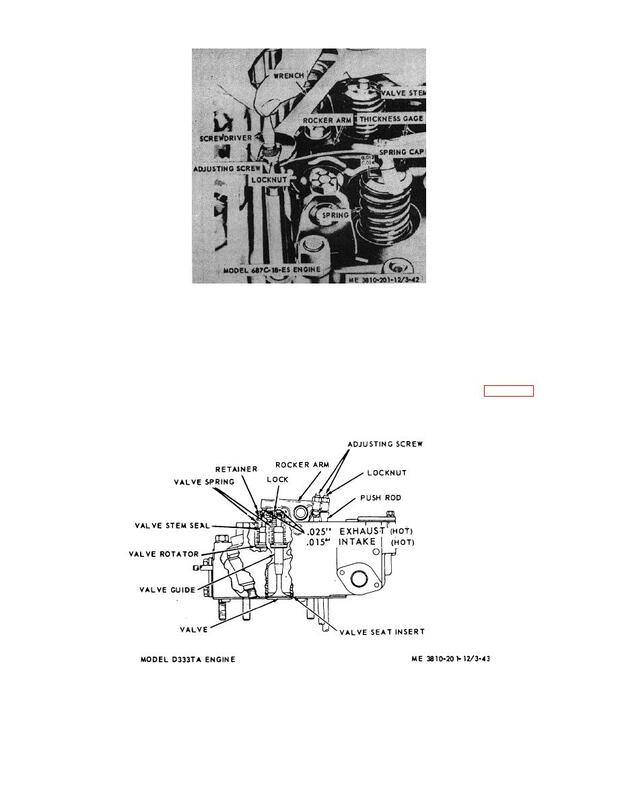 Valve (rocker am) adjustment, Model D333TA engine.